Using our free APP, DSE SMARTLIVE, available for iOS (iPhone, iPad) and Android you can monitor and configure the cameras from mobile phones. For Samsung, HTC, Motorola etc. All cameras include video recording software for up to 128 channels. Cameras can record on SD cards. 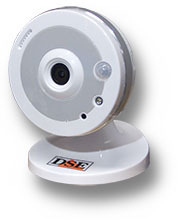 DSE WiFi IP cameras are developed for wireless IP surveillance. They do not requires any wire except the mains power. These cameras are part of our RH RANGE of IP cameras which includes also many hard-wired versions. Using IP technology, CCTV systems can be made over Ethernet LAN. These wireless IP cameras connect to the access point of your network and do not require any wiring. Like all IP cameras, these cameras come with an Ethernet hard-wired port. In addition, a wifi transmitter is built-in. For better appearance the antenna is inside the casing and is not visible outside. During the first setup, the Ethernet cable must be connected to the camera in order to configure the link to the nearest access point. Once wifi has been set, the Ethernet cable can be disconnected, leaving the camera with mains power only. In case of power failure these camera reconnect automatically to the wireless network. These WiFi cameras gives HD 720P video stream (1280x720 or 1280x960). In spite of being, for their own nature, consumer products, these cameras are part of the RH IP camera range, sharing the same software and smartphone APP. These cameras are also compatible with our network video recorder (NVR) and all ONVIF compliant NVR from other vendors. The market of IP cameras is divided in quality segments, much more that the analogue or HD-SDI camera one. The RH range has been designed for the high-end market segment and is able to compete with the most prestigious vendors in terms of dependability. 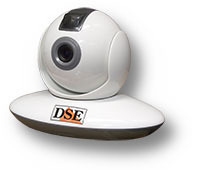 DSE guarantees that the RH range cameras are not going to require any reset or restart in their whole life. Should similar failures happen just one single time, we are ready to refund your money. These wifi cameras are developed for monitoring areas that cannot be reached by cables. You can build-up a fully wireless CCTV system, or mix wifi and hardwired cameras, using wireless for areas that are not convenient to be wired. Desktop 10 m. - 2.8 mm. Desktop 10 m. 3.6 mm. In the PC industry as well as in the TV field, the HD and Full HD resolution are the digital standard of most modern LCD WIDE SCREEN monitors. The 16:9 resolution of these cameras suits exactly the native resolution of the monitor avoiding quality loss due to the image resizing. An RH series camera can be switched to full screen with a simple click of the mouse enjoying superb video quality of any small detail. All RH range cameras produce 25 frames/second video streaming which means real time view. Every single movement appears smooth and fluent on the screen either in live view or during playback. This superior performance is achieved by using Texas Instrument Da Vinci microprocessor, the stat-of-the art DSP which opened a new era in video digital processing. IP cameras use video compression to reduce bandwidth. All DSE megapixel cameras use H.264 Hi-Profile compression, the latest generation of MPEG4 technology which takes around 50% less bandwidth than MPEG4 and even 10 times less than MJPEG systems. Don't mistake H.264 Hi-Profile compression with H264 baseline, widely used in cheaper IP cameras. H.264 Hi-Profile is the primary profile for broadcast and disc storage applications, adopted by Blu-ray format and DVB HDTV broadcast service. All DSE IP cameras communicate using the ONVIF protocol. ONVIF is a very important international standard in the IP video industry, resulting from the cooperation among the most important manufacturers. Using this protocol, DSE cameras can be connected to any IP surveillance software or NVR which comply to the ONVIF standard. DSE is one of the very few Italian companies being member of ONVIF (see ONVIF MEMBER LIST). Only ONVIF members have the tools to test the full product compliance to the most updated ONVIF standards. Please bear this in mind when you are choosing your IP surveillance provider. These WiFi cameras must be powered at 5VDC with the adaptor included. For desktop application, the USB port of your computer can be an alternative power source, because the power connector is the classic MicroUSB plug. Being these cameras intended to work without network cables, POE power is not supported. All these cameras come with built-in microphone and speaker for audio. The audio control is fully bi directional, so from client PC the user can listen-in the room as well as talk to the people in front of the camera. All these camera are color cameras highly efficient even in low light conditions. Besides, cameras include the day & night function, so at night they accept infrared illumination. Day & night feature is obtained with a fully programmable Infrared Cut Filter Removable function (ICR). These cameras come with a built-in infrared LED which turn on automatically at night allowing 10 m monitoring range in total darkness. To view your cameras over the network or the Internet you do not need anything else than a computer and a web browser. Unlike other IP cameras on the market, RH cameras do not require activeX components to be installed, because the WEB GUI is developed using FLASH technology. ADOBE FLASH technology is a worldwide standard so you can use any kind of browser like the Internet Explorer, Chrome, Firefox, Safari etc. leaving untouched your security settings. Through the web interface user get access to the live view and can set all configuration options. 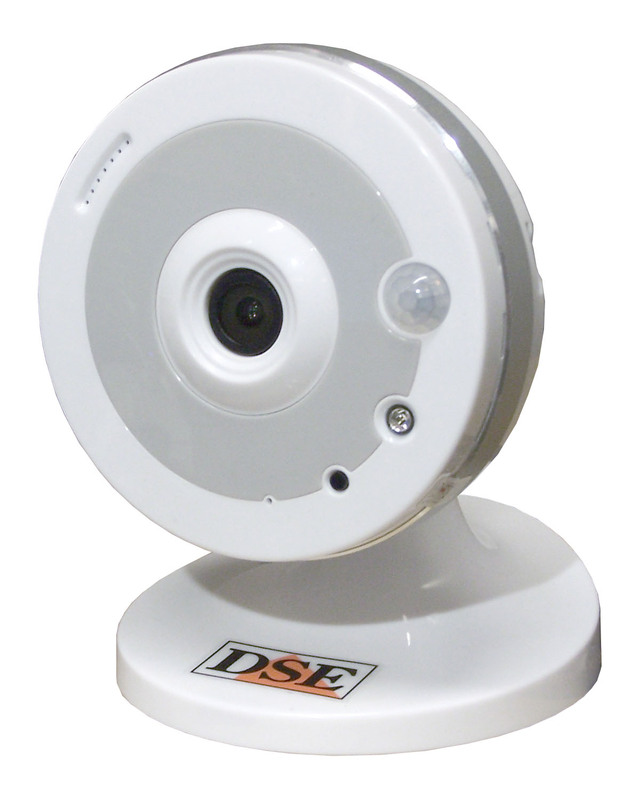 DSE IP cameras can be monitored by any mobile phone with iOS (iPhone, iPad) and ANDROID (Samsung, HTC, Sony, Acer, Motorola etc.) operating system. DSE has developed DSE SMARTLIVE, the APP for the RH camera range that is free to download from APPLE STORE and GOOGLE PLAY. You can store the IP address of all your cameras and just click to start the live view. It is also possible to use bidirectional audio as well as setting all camera options. 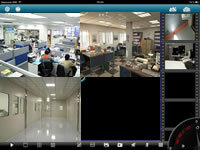 The app for iPad includes a multiple view feature for watching up to 4 or 9 cameras simultaneously. With DSE SMARTLIVE you can also control movements of Pan Tilt cameras. DSE IP cameras support RTSP protocol and can be watched using any RTSP player, like REAL PLAYER, QUICKTIME, VST etc. A convenient software tool, included in the CD, displays in a second the exact address to enter in the address box of the player. RTSP view is useful if you wish to obtain the pure video streaming without any control and overlay. All cameras, except model RH2-BCC2, come with a slot for memory cards for local video recording. Video files can be recorded on the base of a built-in programmable scheduler. It is also possible to start recording in case an alarm is detected by external input or motion detection. RH-BCC1-5 supports SD cards, while all other models has a slot for micro SD cards. Recording video within the camera is very useful if you do not want to use a PC as network video recorder (NVR) or if you want to keep a security backup of your videos. Cameras can manage recycle recording by overwriting older files and can also accept a storage limit to suit local regulation about privacy. The network recording software provided (NVMS) and even Internet Explorer can be use to search and play the videos in the SD cards on a time basis. Thanks to the built-in memory, it is also possible to use these cameras without any connection to the network just like stand-alone video-recording units. IP cameras include motion detection analysis and can start an alarm in case an intruder brake-in. In case of alarm, the cameras can switch a local alarm output (if available) and send pictures via e-mail to several addresses. A built-in weekly scheduler is available in order to enable/disable	the alarm detection according to the needs. Sensitive areas can be masked in order to prevent privacy violation for example in work places or public areas. To suits privacy law, the storage capacity of PC, NAS and SD cards can be set by number of days. The remote access to the cameras is protected by a password control. Each camera allows to store several different users with customized access level to different functions. You wish to watch your cameras over the Internet, but you have no fixed IP address? No problem. 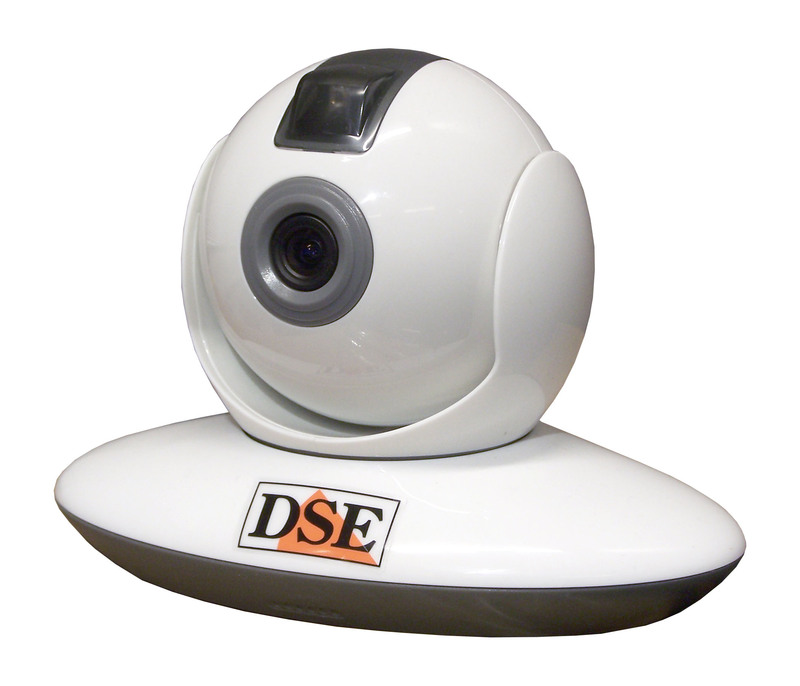 DSE IP cameras support the most common DDNS services like DYNDNS.ORG, NO IP etc. 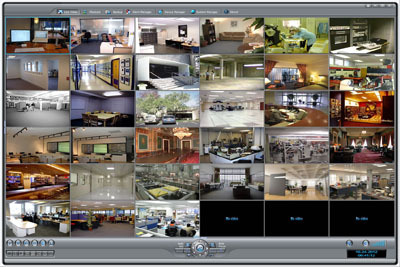 The IP SEARCH software provided free of charge with every camera, is useful to search all DSE FULL HD cameras within the network in a matter of seconds. With a few click of your mouse you can set the network options of the camera and make it visible to other computers. For all the engineers that want to use RH range cameras with their own software, DSE provides the SDK (software development kit) for Windows and Linux free of charge. Free API libraries are also available to develop customized WEB GUI. If you are planning to spend extra money to purchase a Network Video Recorder for your IP cameras, it is good to know you do not need to. With every RH range camera we include the NetVMS, a 128 channels, Windows based, recording software. You can install the program on your computers and transform them in powerful, full HD, IP surveillance monitoring stations. AUTO CONFIGURATION - The program search for DSE RH range cameras within the network and configure all channels automatically. ADVANCE REAL-TIME MONITORING - Up to 64 channels simultaneous live-view. Programmable auto-scans. Save and recall favorite layouts. Digital zoom. Bi directional audio. Full screen view without program controls. SCHEDULE RECORDING - With programmable weekly scheduler. Automatic overwrite function. Programmable number of days to meet local regulation on privacy. ALARM MANAGEMENT - The software receives and store alarms and events from cameras. MULTI DATABASE - Recording on internal hard disks and NAS. VIDEO SEARCH AND EXPORT FEATURE - Time line based searching make video management easy and convenient. Tool for exporting video clips is included. VIDEO SEARCH REMOTE DATABASE - Time line searching of remote archives on NAS, FTP servers and camera SD cards. REMOTE PROGRAMMING OF CAMERAS - All camera options, including C-MOS sensor settings cam be set remotely. USER CONTROL - Access to the software can be password protected. The program manages several users with individual access level. Using ONVIF standards, the RH range cameras can be connected to any ONFIV compliant IP recording software or stand-alone NVR (Network Video Recorder) which complies to this international standard.